Jessica R. Bell, 35, of 1281 Feeman Ave, Lima, found guilty of theft. Sentence: 90 days jail. 60 days suspended. $150 fine. Cody Johnson, 28, of 684 W Lane Ave, Lima, found guilty of dus - fra. Sentence: 30 days jail. 0 days suspended. $150 fine. Alissha J. Hale, 34, of 519 Marian Avenue, Lima, found guilty of ovi. Sentence: 5 days jail. 5 days suspended. $500 fine. Justin C. Hoyt, 34, of 2028 1/2 N Eastown Rd, Lima, found guilty of dus. Sentence: 30 days jail. 30 days suspended. $250 fine. Unica Kelly, 35, of 820 Roosevelt Ave, Lima, found guilty of ovi. Sentence: 5 days jail. 0 days suspended. $400 fine. Aric L. Lehman, 37, of 12399 N Phillips Rd, Pandora, found guilty of persistent disorderly conduct. Sentence: 30 days jail. 29 days suspended. $150 fine. Mary L. Music, 56, of 1 Defiance Commons Dr B, Wapakoneta, found guilty of unauthorized use of vehicle. Sentence: 30 days jail. 30 days suspended. $150 fine. William J. Owens, 69, of 627 E 4Th St, Lima, found guilty of telephone harassment. Sentence: 60 days jail. 60 days suspended. $150 fine. Khadaji D. Petaway, 21, of 706 S Broadway, Lima, found guilty of unauthorized use of property. Sentence: 30 days jail. 30 days suspended. $150 fine. Ryan A. Phillips, 23, of 207 S Woodlawn Ave, Lima, found guilty of aggravated menacing. Sentence: 90 days jail. 90 days suspended. $150 fine. Austin L. Ridenour, 21, of 415 Nye St, Lima, found guilty of falsification. Sentence: 30 days jail. 0 days suspended. $150 fine. Jacob W. Shafer, 21, of 121 South Main, Ada, found guilty of persistent disorderly conduct. Sentence: 30 days jail. 27 days suspended. $200 fine. Michelle A. Smyth, 28, of 172 Dabill Pl, Lima, pleaded no contest and found guilty of ovi. Sentence: 5 days jail. 5 days suspended. $500 fine. Ronnie. Townsend, 59, of 1548 Richlieu Drive, Lima, found guilty of physical control. Sentence: 3 days jail. 3 days suspended. $450 fine. Paul J, Jr. Ward, 45, of 320 N Metcalf St, Lima, found guilty of dus - fra. Sentence: 30 days jail. 30 days suspended. $250 fine. Derrick L. Wilson, 28, of 346 S Charles St , Lima, found guilty of domestic violence. Sentence: 180 days jail. 120 days suspended. $150 fine. Julian D. Wright, 20, of 796 S Metcalf, Lima, pleaded no contest and found guilty of prohibitions; minors under 21. Sentence: 180 days jail. 174 days suspended. $150 fine. Stanton E. Burse, 39, of 240 Calumet Avenue, Lima, pleaded no contest and found guilty of ovi. Sentence: 90 days jail. 60 days suspended. $750 fine. Hussein A. Dakrouri, 26, of 22726 Moulton Ft. Amanda Road, Spencerville, found guilty of reckless operation. Sentence: 30 days jail. 30 days suspended. $250 fine. Kieona M. Foster, 25, of 2 Elmview Court, Lima, found guilty of ovi. Sentence: 5 days jail. 5 days suspended. $500 fine. Justin D. Kreutzer, 22, of 2120 N Eastown Rd, Lima, pleaded no contest and found guilty of physical control. Sentence: 10 days jail. 0 days suspended. $500 fine. Justin D. Kreutzer, 22, of 2120 N Eastown Rd, Lima, pleaded no contest and found guilty of dus - ovi susp. Sentence: 10 days jail. 7 days suspended. $350 fine. Cheryl R. Melvin, 54, of 1518 N Adams, Lima, found guilty of unauthorized use of property. Sentence: 30 days jail. 30 days suspended. $150 fine. Robert J. Olszewski, 49, of 4Th St Apt 9A, Lima, pleaded no contest and found guilty of menacing. Sentence: 30 days jail. 25 days suspended. $150 fine. Barry L. Rose, 55, of 666 W Vine, Lima, found guilty of ovi. Sentence: 180 days jail. 120 days suspended. $750 fine. Derek E. Watkins, 38, of 2329 Co Rd 80, Alger, found guilty of ovi (aj). Sentence: 365 days jail. 0 days suspended. $850 fine. Latoya V. Bell, 32, of 777 Brice Ave, Lima, pleaded no contest and found guilty of falsification. Sentence: 30 days jail. 27 days suspended. $150 fine. Jaylynne. Hamilton, 23, of 908 N Moening St, Delphos, pleaded no contest and found guilty of stopping after accident info. Sentence: 30 days jail. 30 days suspended. $250 fine. Steven E. Johnson, 24, of 13887 Rd T 13, Columbus Grove, found guilty of dus - fra. Sentence: 30 days jail. 0 days suspended. $200 fine. Jermaine C. Jones, 28, of 965 Richie Ave, Lima, found guilty of obstructing official business. Sentence: 30 days jail. 0 days suspended. $150 fine. Jacob C. Layne, 25, of 427 Defiance Street, Wapakoneta, found guilty of ovi. Sentence: 180 days jail. 120 days suspended. $750 fine. Melissa A. Reed, 43, of 1617 W Elm St, Lima, pleaded no contest and found guilty of ovi. Sentence: 5 days jail. 0 days suspended. $600 fine. Mark A. White, 50, of 756 W Elm St, Lima, pleaded no contest and found guilty of use/poss/sale/drug para. Sentence: 30 days jail. 0 days suspended. $150 fine. Mark A. White, 50, of 756 W Elm St, Lima, pleaded no contest and found guilty of theft. Sentence: 180 days jail. 0 days suspended. $1000 fine. Mark A. White, 50, of 756 W Elm St, Lima, pleaded guilty to found guilty of dus - ovi susp. Sentence: 23 days jail. 0 days suspended. $250 fine. Matthew A. Widmaier, 47, of 1502 Garland Ave, Lima, found guilty of ovi. Sentence: 5 days jail. 0 days suspended. $500 fine. Keont’E L. Williams, 25, of 330 Calumet St Apt 14, Lima, pleaded no contest and found guilty of dus - ovi susp. Sentence: 60 days jail. 57 days suspended. $250 fine. David G. Alonso, 27, of 22 W Henry St, River Rouge, Mi, found guilty of ovi. Sentence: 5 days jail. 5 days suspended. $500 fine. Gary D. Brown, 41, of 605 W Livingston St, Celina, pleaded no contest and found guilty of ovi. Sentence: 90 days jail. 60 days suspended. $750 fine. Dale B. Foltz, 78, of 1000 W Robb Ave Apt #2, Lima, found guilty of ovi. Sentence: 90 days jail. 77 days suspended. $600 fine. Kelli N. Garner, 44, of 427 E Sixth St, Lima, found guilty of resisting arrest. Sentence: 30 days jail. 30 days suspended. $150 fine. 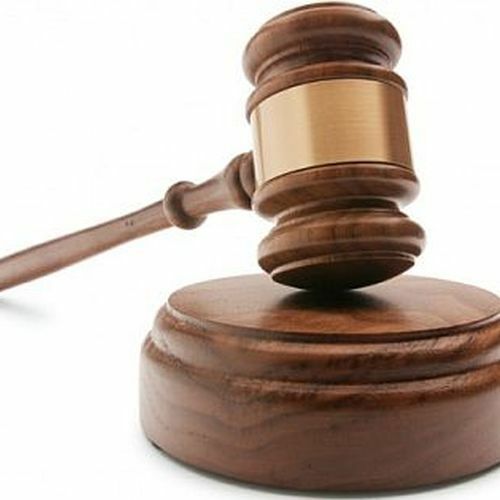 Jacaqueline S. Jackson, 27, of 211 E 10Th St, Lima, pleaded no contest to found guilty of theft. Sentence: 30 days jail. 30 days suspended. $150 fine. Jade T. Jennings, 25, of 20650 State Route 694, Cloverdale, pleaded no contest and found guilty of dus - fra. Sentence: 30 days jail. 30 days suspended. $150 fine. Cody L. Mcbride, 26, of 1701 Karen Avenue, Lima, found guilty of ovi. Sentence: 5 days jail. 5 days suspended. $500 fine. Stephen E. Parent, 55, of 3189 Inwood Dr, Lima, found guilty of ovi (aj). Sentence: 180 days jail. 150 days suspended. $1500 fine. Jackie L. Scales, 65, of 547 E Holmes, Lima, pleaded no contest and found guilty of dus - fra. Sentence: 30 days jail. 0 days suspended. $150 fine. Gyle D. Sines, 21, of 1105 Sherman Ave, Lima, found guilty of proh minor under 21 years age. Sentence: 30 days jail. 27 days suspended. $250 fine.